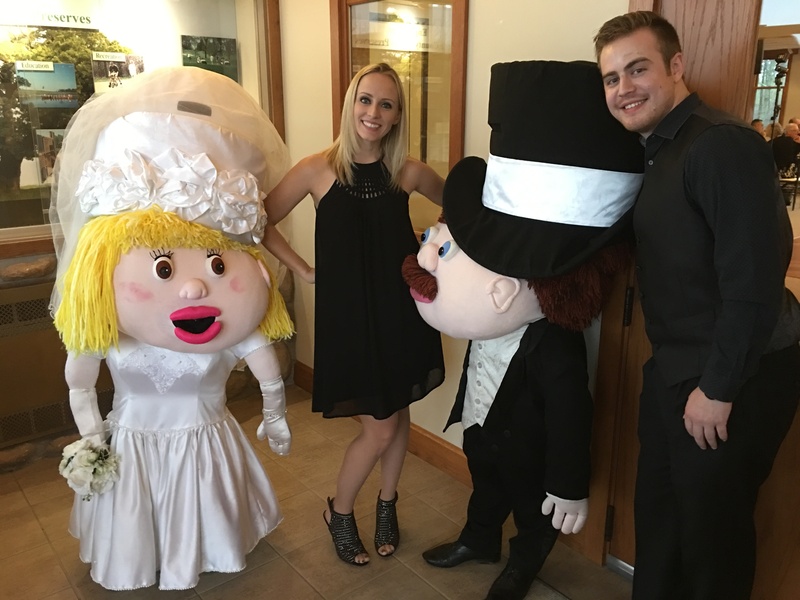 We had to share the spotlight at this Thunderhawk Golf Club Wedding with some adorable characters but we didn’t mind. 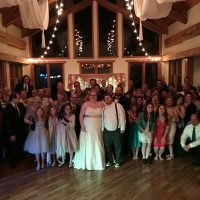 It was a fun night for everyone and the venue was definitely a favorite. 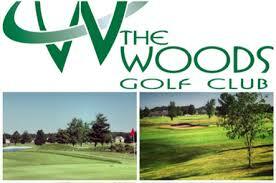 Just on the Illinois side of the Illinois/Wisconsin border you will find the town of Beach Park and the ThunderHawk Golf Club. This is the perfect spot for a wedding that will have your guests in awe. The soaring high natural wood ceilings will be sure to impress as will the floor to ceiling windows that offer a spectacular outdoor view. Please click here to view their website if you are planning a wedding in the area. This venue is gorgeous. In addition, their five star culinary team will create a menu to die for. It was truly delicious. 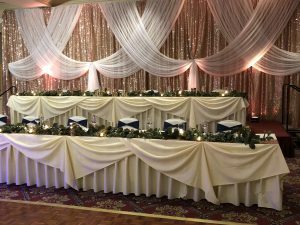 Finally, they will only book one event at a time so your big day will have all of the attention you deserve. We have found that in Wisconsin (or near), having The Funny Little People is a popular thing. You can find them by clicking here. They always have everyone smiling and laughing and we think they’re just great. 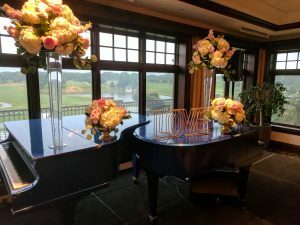 We love seeing all of the great wedding ideas when we perform. 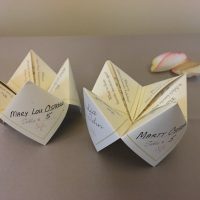 Another fun idea, besides the Funny Little People, were these super creative place cards. 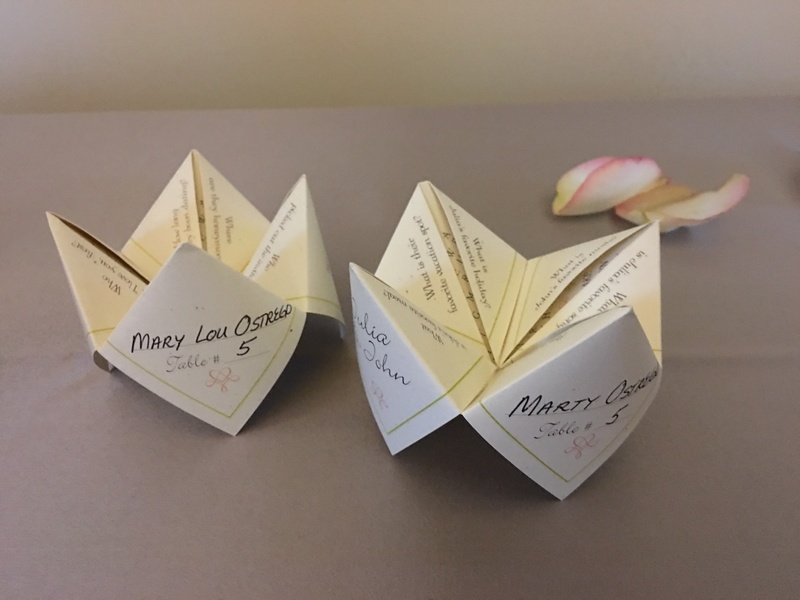 Remember when you were little and made fortune tellers? Or sometimes they were called cootie catchers. 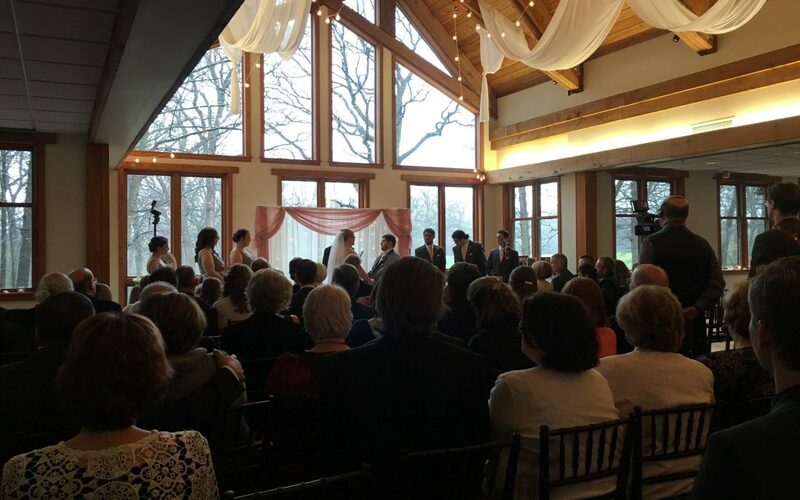 Check out the photo of the ones for this ThunderHawk Golf Club Wedding. 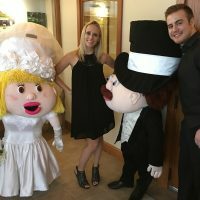 We thought they were very fun and loved seeing the guests interact with them. Felix and Fingers plays many, many weddings and we love each and every one. This was a very fun group and we loved all of their great requests. The Jackson 5’s ABC,123 was a great throwback that had everyone on the floor. Another oldie but goody was Elvis’ All Shook Up. Definitely some great moves with that one. We had some more recent requests as well. Songs like The Chainsmokers’ Closer and Drake’s Hotline Bling were two of our favorites. All in all, a great wedding it was. 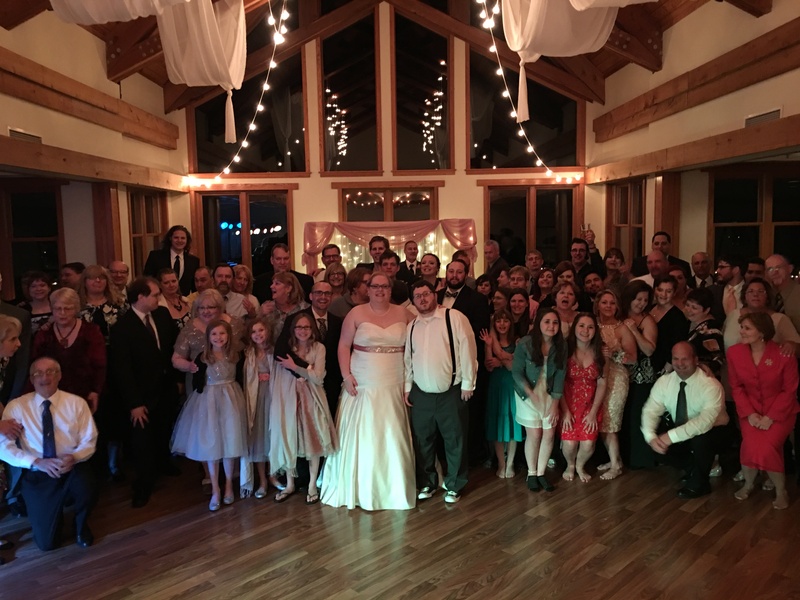 The ThunderHawk Golf Club Wedding was a great success. 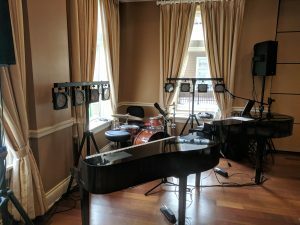 Give Felix and Fingers Dueling Pianos a call if you would like the same for your wedding day. Click here to read more about us and we hope to hear from you soon.